It is a requirement of your Agreement, that the goods are protected against Theft and Accidental Damage. We can arrange Theft & Accidental Damage Cover for £0.88 per week. It is a requirement that products purchased on a credit agreement are insured. We can offer Theft and Accidental Damage Cover for £0.88 per week. 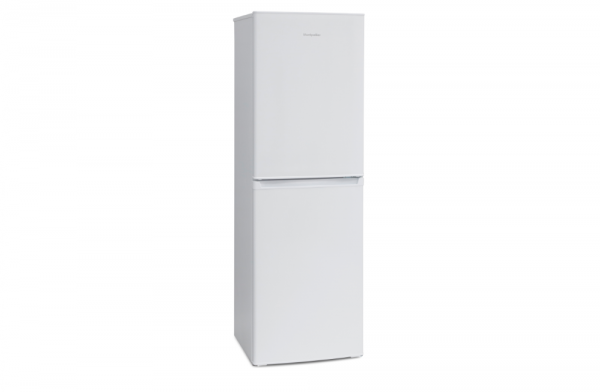 The Montpellier MS171W is a fantastic, modern and sleek looking 50/50 fridge freezer which would be perfect for your busy home. The fridge freezers has ample space for your chilled food and fridge food. What makes this Fridge Freezer features three glass fridge shelves, two salad crisper drawers, four freezer compartments, automatic defrost and LED fridge light. Finished in a bright white, this simple design will look perfect next your otter kitchen appliances. 4* freezer rating.